Could Rental Fees For Nonprofits Drive Events From Safety Harbor? Home / Entertainment • Events • Government • Latest Stories • Local News • Showcase • Trending Stories / Could Rental Fees For Nonprofits Drive Events From Safety Harbor? 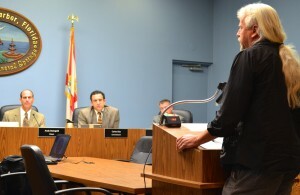 Local artist Todd Ramquist addresses the Safety Harbor City Commission on Monday. For years the City of Safety Harbor has charged a fee of $1,000 for private organizations to rent any of its three downtown locations – the Marina, The Waterfront Park and Main Street – and for years officials would waive the fee for nonprofit organizations. But during last summer’s budget sessions, the City Commission decided to impose a fee of $300 per day, or 70-percent of the private rate, for nonprofit events as well. The policy went into effect on January 1st and is expected to bring in more than $10,000 this year based on the city’s 2015 special events schedule. That decision, plus the rental rates for other facilities such as the Safety Harbor Museum and the John Wilson Park Gazebo, recently led prominent local artist Todd Ramquist to lament the future of special events hosted by nonprofit organizations in Safety Harbor. “Three events you mentioned probably won’t exist next year, I bet, under the current fee structure, because they won’t be able to pay for the facilities,” Ramquist, co-founder of the Safety Harbor Art and Music Center and its upcoming Safety Harbor Songfest, told the commission on Monday night, referring to smaller events like the Thin Mint 5K and Healing in the Harbor. 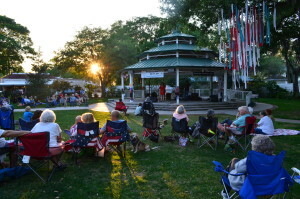 “I think it looks bad on the city for us to have a “non-waivable whatsoever” program,” he stated, adding that SHAMC will not host any free concerts in advance of Songfest this year due to the fees to rent the museum and the Gazebo. SHAMc will not hold free concerts at the Gazebo leading up to Songfest this year due to Safety Harbor’s rental rates for the facility. 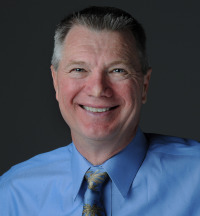 Ramquist noted that some neighboring communities, like Largo and Dunedin either don’t charge rental fees for non-profits or will waive the fees upon request, and he cautioned that if Safety Harbor doesn’t follow suit, it could come reflect badly on the community regarding its support of the arts. Mayor Andy Steingold was quick to respond, saying the Commission fully supports the arts and events while noting they reduced the rate to one-third of what they charge private organizations, and other commissioners said they did not want to address the issue again now. “You make some good points, but I think we should keep it how it is now and address it in the future,” Vice Mayor Cliff Merz said, adding he would like to revisit the subject during this summer’s budget sessions. Soon after deciding to table the matter, one resident spoke up in favor of Ramquist’s proposal and the importance of keeping events like Songfest in Safety Harbor. 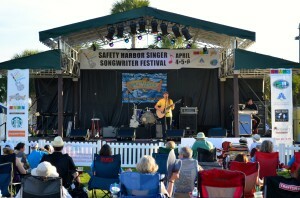 The 2014 Safety Harbor Singer Songwriter Festival will return as the Safety Harbor Songfest in 2015. “I think this is one event that could really be big time in this part of Florida, and I really think that if he takes the event somewhere else, we’re just gonna blow it. And you guys can prevent that,” he added. Ramquist later told Safety Harbor Connect that he doesn’t plan on relocating the Songfest, and he said that city officials like special events coordinator Joe Cooper have been extremely cooperative while putting the event together. He also said he believes the City’s rental costs for nonprofits for the main venues are fair, but he’s worried about smaller organizations being unable to bring events to town because of the current fee structure. “I think a lot of nonprofits are unaware of the fees, and when they find out about them as they go to rent these city facilities, they’re going to be forced to look elsewhere because they can’t afford to host the events here,” he said. Thanks for the interesting article. This is an interesting decision. 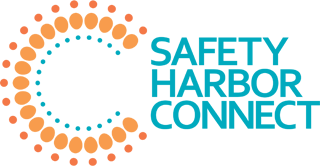 Safety Harbor is a great location for events and free access is no small benefit for these charitable organizations. However, the commission may be violating a basic principle on price – you shouldn’t raise prices without offering something additional in return. Will these organizations get any additional benefit by paying the fee, or will they get the same as when there was no charge? Was the commission trying to plug a hole in the budget? It’s not clear what motivated the decision.